You should walk in front of your dog when on the walk- this helps establish you as the leader of the pack. When the dog pulls ahead and is the one in control of the walk’s pace and direction you are surrendering control over to the dog and letting them be the leader. You should always have your dog walking along behind you or beside you, never ahead of you. Using a shorter leash keeps the dog closer to you and also allows you to have more control. Attaching the leash at the top of the collar makes it easier for you to guide, and correct your dog. Always keep your dog’s safety in mind and choose a leash that is safe and comfortable for your dog. Dogs are not naturally nocturnal and prefer to be active early in the day. Morning walks are often the ones most enjoyed by your canine companions. Also, you need to make sure you allow enough time to make sure your dog does not feel rushed or pulled along, dogs naturally like to take some time to sniff and stop so make sure you are not so rushed the walk becomes stressful for you and your dog. 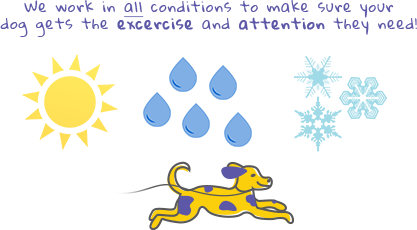 You can reward your dog for good behavior during the walk by stopping and giving them a few minutes to sniff and explore or rest. After the walk reward your dog with a special treat that is reserved only for after successful walks. Just like people. Dogs learn best by repeating a behavior over and over. So make your walk a routine that you do together several times a week if you cannot do it every day.